Penguin Tux is the official mascot of Linux, he is celebrating his 20th anniversary. Who can say that an OS that billions of people use each day is named after him? Linus Torvalds announced what is definitely one of the most influential inventions in the history of operating systems: Linux, his very own OS. Luckily, he did not choose the name, so don't say he's narcissistic. In the beginning he even opposed to the idea of calling the system Linux. He also denied commercial usage but soon he just opened up the system and published it under GNU GPL and made it software freely available for everyone to use and change. Now Linux is celebrating its 25th birthday and Linus Torvalds remembers the beginnings of the operating system: The first kernel contained 10,000 lines of code and ran only on the same HDD that Torvalds owned. At this point he thought that only students would ever be interested in the system. Today there are more than 22 million lines of code and Linux supports 80 different architectures. A team of 5,000 developers coming from more than 500 companies are developing Linux. Mr. Torvalds himself does only little coding nowadays, his job is to make sure the development and update schedule are on track. Every nine to ten weeks, there is a new version of the Linux kernel. Building on it, companies like Canonical or Valve develop special operating systems that can be installed on PCs or Laptops and that have priorities like gaming, for example. 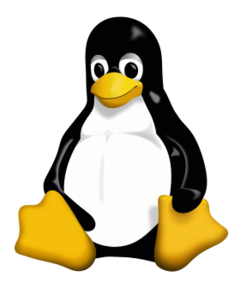 But Linux is also widely used in servers, super computers and is the basis for the biggest mobile operating system Android. This way, billions of people use Linux every day, probably without even knowing. Linux' biggest strenght is it's variability. You can find dozens of operating systems and choose the one that fits your needs best. At the samt time this ability to adapt is also the biggest downfall for Linux as newbies are often put off by the multitude of possibilites. Linux was and remains a very important project: Everyone can look into the code and thus the danger of companies or governments hiding spyware inside is quite low. Furthermore, its variability allows many applications that the more rigid systems by Microsoft and Apple are not capable of. And the best thing ist: Linux is absolutely free of charge. > Notebook / Laptop Reviews and News > News > News Archive > Newsarchive 2016 08 > 25 years of Linux: Happy anniversary!